With The New iPad 3 announcement Apple has also announced the new Apple TV 1880p which will supports 1080p videos. 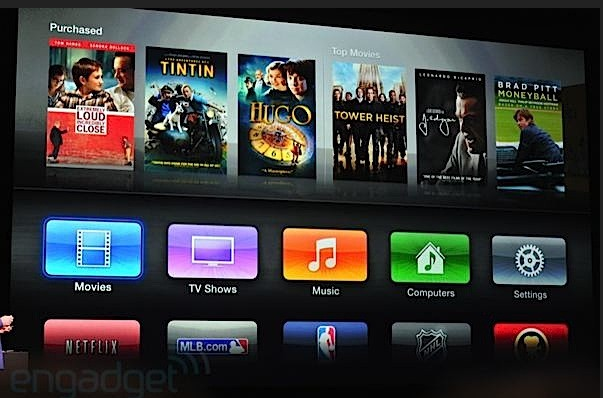 The new Apple TV will be available for general public from March, 16, 2012 with the price of $99, customers can place Pre-Orders now from Apple Store. The new Apple TV with 1080p HD supports will provides you access to the best graphic content and blockbuster movies, TV shows, sports, music, photos, and much more right on your widescreen TV. You can even play content from your iOS devices on your TV using AirPlay. Just plug it in and discover a whole new world. The new Apple TV UI is quite similar with new iOS 5.1 territory, with a splash of new color and a whole range of third-party apps. The new Apple TV includes wide range of apps and games like Photo Stream alongside old favorites like Netflix, Flickr and YouTube. Expect improved connectivity to the iCloud (including your movie content) and better integration of your iTunes playlists directly from the refreshed UI. The biggest change in new Apple TV is that the new version of Apple TV will support 1080p resolution, a welcome feature for all of those users who have big wide screen televisions at home. 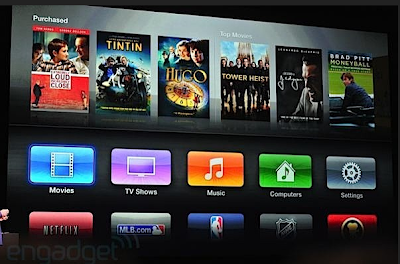 Following are the details, features and specifications of Apple TV. 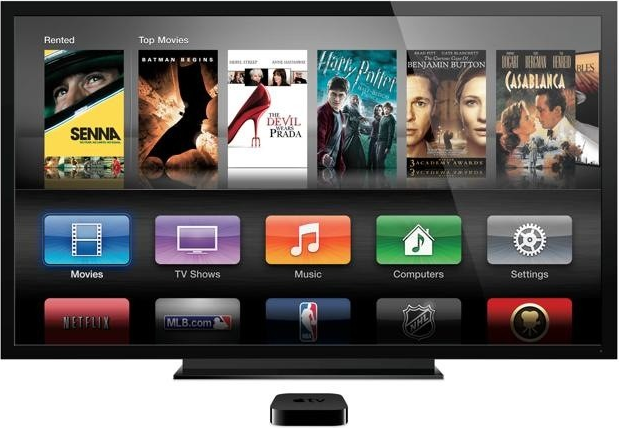 The new Apple TV will be available from March 16th 2012 at starting price of just $99. Click here to get full Apple TV features, specification and other details. You can also place your Pre-Orders now.